The old saying goes ‘you can only beat what’s put in front of you’. Wolves correspondent Tim Spiers has done some number crunching to tell the story of Wolves’ 2015/16 season. Kevin McDonald will have showdown talks with Wolves about his future next week. Glorious sunshine, a fantastic atmosphere, all that was needed was a Wolves goal, writes Joe Edwards. Boss Kenny Jackett was delighted with a final day win over Sheffield Wednesday – but thinks it shouldn’t mask the big job ahead for Wolves. After a season riddled with frustration, Wolves pretty much saved their best for last in 2015-16. 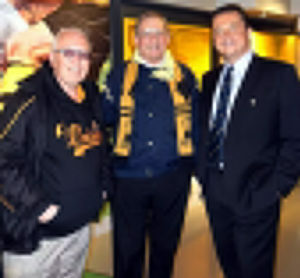 Continental Jaunt That Evaded Our Researchers Peter Abbott (left) at the recent event given by the club to London Wolves. Kenny Jackett says it’s vital that Wolves do their transfer business early – as he looks to re-shape his squad with key additions this summer. A new DVD charting Wolves’ glorious European floodlit matches is being released on Monday. Wolves will hope to avoid setting an unwanted Football League record when they take on Sheffield Wednesday on Saturday. Wolves will test Hibs’ resolve with a £1m bid for star striker Jason Cummings this summer, it is believed. Surely not another 0-0? Our full preview as Wolves end their season at home to Sheffield Wednesday. This has been a season of regression and I think everyone will be glad when it’s over. “We want a big performance and a good send-off. “That was probably the best decision I made, going on loan there. Captain Danny Batth says there’s a collective determination to go one better at Wolves next season. Captain Danny Batth feels the return of Nouha Dicko and other injury victims – plus new signings – can re-invigorate Wolves next season and turn draws into wins. Wolves correspondent Tim Spiers discusses the latest coming out of the camp ahead of the final game of their Championship season. Follow all the latest breaking news today from our sports reporters and our clubs. After a 5,000/1 footballing success in the East Midlands, Pete Cashmore takes a look at where the best value bets are to be found in the west side of the region. Wolves are thought to be one of a host of clubs chasing Southend midfielder Jack Payne. It’s a sight that will warm the heart of every Wolves fan. Young people from both The Albion Foundation and Wolverhampton Wanderers Kicks projects come together for a West Bromwich Albion match day experience. Wolves goalkeeper Jon Flatt hopes his title-winning loan experience can help propel his career. Watch boss Kenny Jackett’s pre-match interview ahead of the final game of their Championship season at home to Sheffield Wednesday on Saturday. Wolves midfielder Dave Edwards has been named one of the Professional Footballers’ Association’s community champions of the season in recognition of his work off the field. Kenny Jackett has outlined where he thinks Wolves need to strengthen this summer – and believes he can build the team’s attack around January signing Joe Mason. Kortney Hause has been disciplined by Wolves for leaking images of the club’s 2016/17 kits on social media, it can be revealed. A Phew From Hugh…….Leicester Have Turned The Tables! 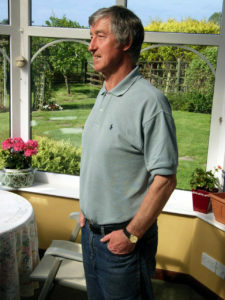 Hugh McIlmoyle at home in recent years. A bridge named after Sir Jack Hayward has been formally opened in the Bahamas. Teenage left-back Sylvain Deslandes isn’t yet ready to be a Championship regular for Wolves, Kenny Jackett believes. Midfielder Lee Evans has been getting rave reviews from his season-long loan spell with League One high-flyers Bradford City. Some players go through their whole career without winning a league winners’ medal. There’s been a long-running debate this season over how much influence current boss Claudio Ranieri and former manager Nigel Pearson have had on this remarkable title-winning Leicester team. Digital sports journalist Craig Birch discusses the latest coming out of the Wolves camp ahead of the final game of their Championship season. Wolves will delay an announcement on the future of their out-of-contract players until next week at the earliest. No decision has been made on outcast midfielder Kevin McDonald’s future, Wolves boss Kenny Jackett insists. Tim Spiers brings you the latest news from Molineux, where Mike Williamson has opened up about his injury-riddled season. THE organisation which has opposed a new sponsorship deal for Wolverhampton Wanderers FC has highlighted its ethical approach to lending. Bottles were thrown after the Wolves v Birmingham game on the 13th March. ‘My goal is still to play in the Premier League, make no mistake. Wolves’ Mike Williamson says he ‘can’t over-emphasise’ how frustrating his injury hell has been. Kenny Jackett has taken full responsibility for Wolves’ recent poor form and declared: ‘The buck stops with me’. Wolves drew their sixth match out of nine in a 1-1 stalemate against Nottingham Forest at the City Ground. Joe Mason has revealed his relief at ending his Wolves goal drought – and is optimistic next season will be a different story for Kenny Jackett’s team. Boss Kenny Jackett believes Wolves need more ‘experience and nous’ if they’re to shine in the Championship next season. MY LETTER about the Wolves Social Club (see page 9) reminded me that the very next home programme cover featured the presentation of the Club of the Year cup by Penny Plummer to John Ireland. Watch the match highlights as Wolves play out another draw, this time away to Nottingham Forest in the Championship yesterday. Check out our gallery of Wolves fans attending yesterday’s 1-1 draw with Nottingham Forest. Wolves boss Kenny Jackett felt a lack of experience cost his side victory after another ‘frustrating’ draw. Well at least this draw had goals in it, writes Tim Spiers at the City Ground.